Produced from 1929 to 1973, the Harley 45 flathead motor powered two-wheeled motorcycles until 1952 and three-wheeled Servi-Cars until 1973. These rugged, reliable V-twin engines were easy to maintain and would continue to run even in the worst of tune. They were simple and efficient, but not particularly powerful in stock trim. The first Harley 45 flathead was the DL model (1929-1931), followed by the RL model (1932-1936). Both the DL and RL engines used a total-loss oiling system, and were succeeded in 1937 by the WL45, which had recirculating oil lubrication. Factory bore, stroke, pistons, and rods were the same for all years of Harley 45 motors. Note that on 1936 and earlier engines, the oil holes and key-ways on the flywheels are different than on later 45 engines. 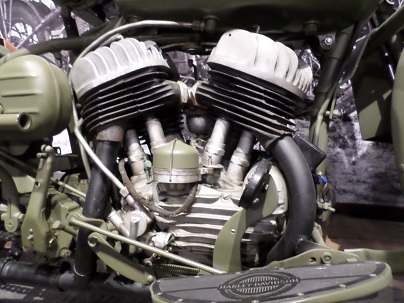 Advantages of a flathead (side-valve) engine over an OHV (overhead valve) engine were cost of manufacture and simplicity. With valves positioned in the engine block beside the piston, instead of in the cylinder head as in an OHV engine, push rods and rocker arms were not needed. Cylinder heads need only be a simple casting with threaded holes for the spark plugs. A bore and stroke of 2.75" x 3.18" made 742cc, advertised as 750cc, which is also 45 cubic-inches. Horsepower was rated at 21. Original compression ratio was 4.5:1, which increased to 4.75:1 in 1941. Remember that at this time in America, there was no high-octane gasoline to allow high-compression engines to operate. During the years 1940-1945, nearly all Harley-Davidson motorcycle production was for military use. The WLA designation was, "W" indicating 45ci flathead, "L" signifying high compression, and "A" for Army use. Accessories included a luggage rack, ammo box, and leather rifle scabbard. Painted in olive drab or black, bikes were equipped with blackout lights to reduce nighttime visibility. The U.S. Army specified a slightly lower compression ratio than standard WL's, allowing them to run on low quality fuel. Oil bath air filters were fitted to reduce the dust from dirt roads. Sides of fenders were removed to prevent mud-clogging on unpaved roads. The Motor Company also built bikes for the Canadian Army, although to slightly different specifications. These bikes were designated "WLC". Most all of the Canadian-version WL's were produced in 1943. 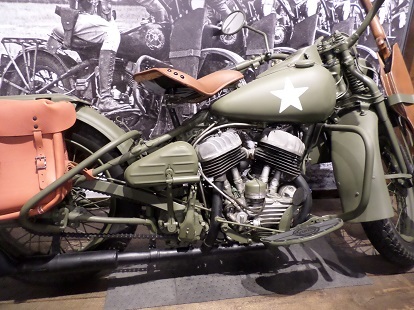 Harley built about 90,000 WLA and WLC models during World War II. The Soviet Union alone bought 30,000 of them under America's Lend-Lease program. During the Korean War, manufacture of Harley WLA started up again. When the war was over, there was a great surplus of WL bikes, most being sold very cheaply. In America, these surplus WLA models became some of the first modern-day choppers. 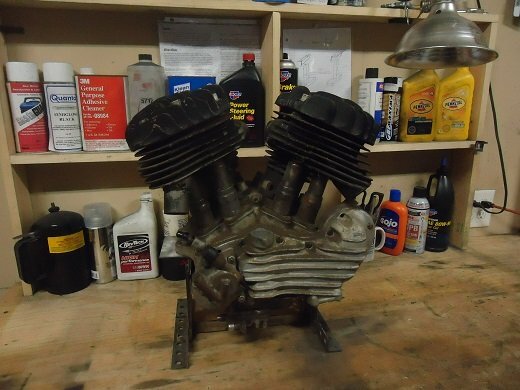 The 45 Harley flathead motor looks similar to a Big-Twin flathead. The easiest way to tell them apart is that big-twin flatheads (UL and VL) have their drive chains on the left, and the 45 has them on the right. The WL series were manufactured from 1937 until 1952 and had a 45ci "high-compression" motor. Harley-Davidson called this civilian model the Sport-Solo. The 45's highest output model, however, was the Harley WR factory racer. In 1946, the 45ci WR Flathead racer was introduced. It conformed to stricter Class C AMA rules, which were intended to reduce costs for competitors. In Class C rulings, flatheads are allowed to displace 750cc, while OHV motors were limited to 500cc. Harley 45 flatheads never needed lead. The reason tetraethyl lead was added to gasoline in the first place was to increase octane for vehicles with high compression. This is not an issue with old Harley flatheads. With increased compression and hotter cams, the WR-750 shared a large number of parts with the mass-produced military WL series. The WR racer saw considerable success, competing against rival Indians on dirt track speedways throughout the 1930s. 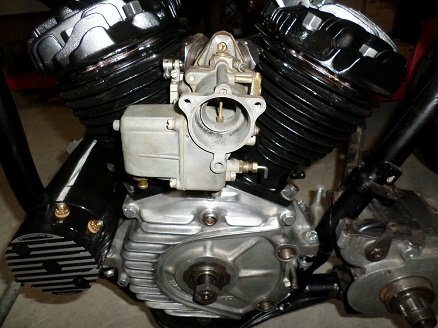 Retarding the distributor timing helps cold engine starting, and on early Harley flathead models this was done manually. The left hand grip was referred to as the "spark control" grip. Before kick-starting the engine, the rider twisted the cable-activated left grip outward, moving the distributor outward. This would retard the ignition timing. Then once the engine started and was warmed up enough, he would twist the grip back inward to it's fully advanced normal running position. 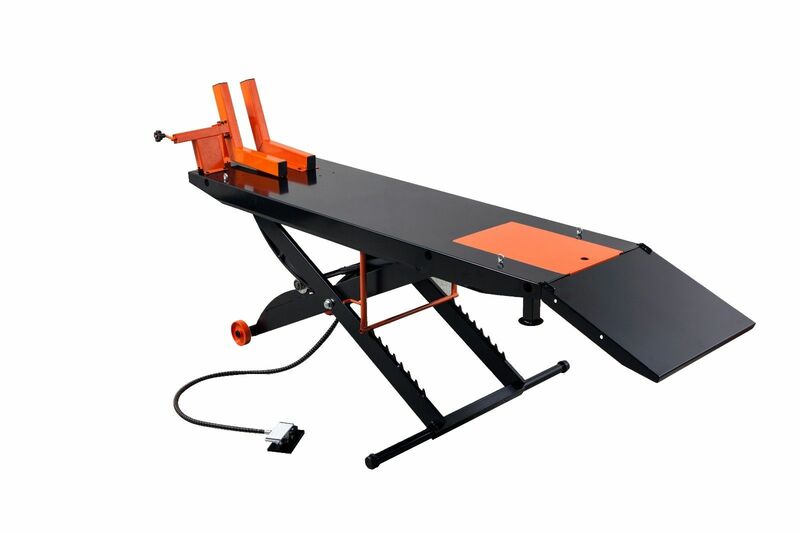 Sometimes when riding, a rider might retard the distributor slightly to avoid engine knock under heavy load or acceleration. There are two types of generators found on Harley-Davidson 45 flatheads. Early-style motors (1937 to 1958) have a three-brush generator, which is mounted to the engine with two 1/4" bolts, and utilizes a strap which goes around the generator body. Later 45 motors (1959-1965) have a two-brush generator which does not require the strap, and has two 5/16" bolts holding it in place. Your classic bike's generator really doesn't charge the battery until engine rpm is considerably higher than idle. Trips that are less than 15-20 miles are typically not enough to recharge the battery's losses from starting. Servi-car 45 motors from 1966 and later came with a car-style alternator which was externally driven by a belt. Stamped in the left engine case, the serial (VIN) number starts with the last two digits of the year, followed by the letter designation, then a 4 or 5 digit assembly sequence code. Made from 1941 through 1945, the WLA engine had serial numbers beginning with 42WLAxxxxx. There were several different configurations of 42 WLA's during those years. Although pre-1970 Harley-Davidson motorcycle frames were never numbered, engines were usually sequentially-numbered. So, even though they all have the same "42 WLA" designation, it's possible to identify the year of manufacture from casting numbers and date codes on the engine cases. 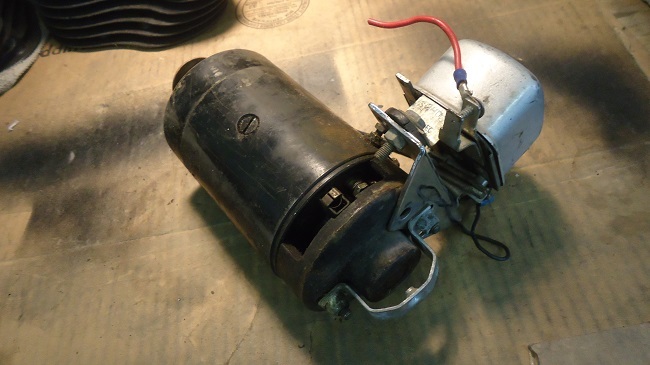 Most Harley Servi-car motors are stamped 'G' or 'GE' if it's an electric start 1964 and later. Very early models may be stamped 'GA' or 'GD' or 'GDT'. The letters (up to four) are the model code. The first two numbers are the year and the remaining numbers are the production number. This example will help decipher the engine case numbers on your Harley 45 motor. In number 361-1722, the number 3 will probably indicate a round top case. The second and third digit is the year (1961), and will probably be stamped in a closed-top letter style with a short horizontal stroke across the top. The four numbers after the dash are a sequential assembly-line number. If you're building a Harley 45 motor from the cases up, belly numbers that match usually mean that line-boring may not be required, although its always a good idea to check. The Harley 45 flathead engine was left pretty much unchanged throughout it's 41-year production run. Until the Sportster surpassed it in 1998, it was Harley-Davidson's longest running engine in production. 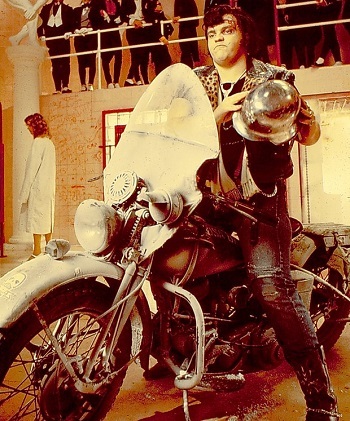 In the 1975 film, The Rocky Horror Picture Show, Eddie (played by singer Meatloaf) rides out of the deep freeze of Dr. Frank-N-Furter's lair on a Harley-Davidson WLA.